Photography is our business... editing is our key to success. In our digital world no photograph goes "untouched" by the photographers "digital hand". This is where our experience comes from. We have been proffesional photographers for over 25. As the digital image goes... so do we. Therefore we edit everything and have been for over a decade now. We treat your portraits like they are your own. Bringing what was once lost back to life for you is our satifaction. Unfourtunately, that dedication to our work and your family	does	cost	money to provide. Prices start at $90. To recieve a quote please contact us or emial us at the contacts on the right. 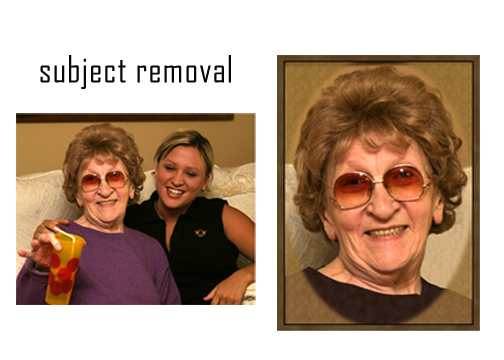 We will make arrangements to view your damaged portraits via email, text, direct upload, Facetime or even Skype. Let's make this a wonderful experience for us all. We can fix it. Your photos are memories meant to last more than your lifetime. We are not the least expensive. We are the best. Prices start at $90. You proof your portraits. You will know what are getting before you get it.